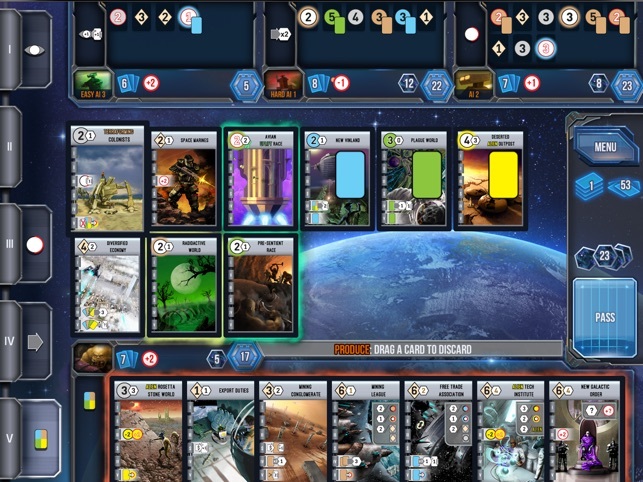 Race for Galaxy is a card game by Tom Lehmann, that just made its way to the digital realm. If you enjoy card games or Euro style games, then you need to invest in this game. 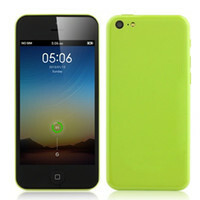 The game is currently available for both Android and iOS devices. In addition to the initial purchase, there are 2 expansions already out that you can add to the game. 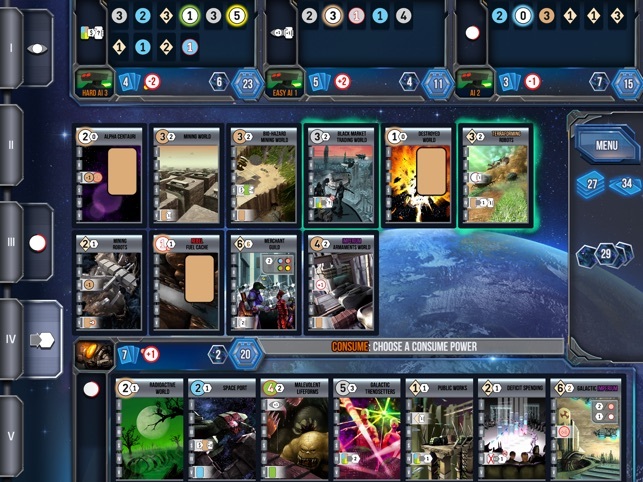 The goal of the game is to build the best galaxy and have the most victory points at the end. The neat thing about this game is that everything is played with cards. It took me a while to figure out the game and more than a few games to actually win one (against the AI). This is a very enjoyable game and one I will be playing for some time to come. The game plays well; the graphics and interface are well done, the rules and tutorial are good, and with the expansions available on day 1 and the ability to do multiplayer games, there is plenty to do. The game is broken down into rounds, where each player can choose 1 action, that everyone will be able to do. Those actions are: explore, develop, settle, consume, and produce. 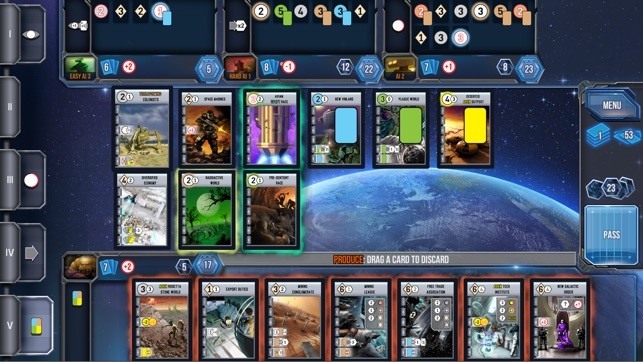 Since you are building a galaxy, you will be settling planets and then using development cards to build up your economy or military. The key to understanding the game is to learn/understand the symbols, numbers, and colors are the cards you will be using. This is a card game, so all you need to know is on the cards. For me, it took playing a few plays and going back and forth to the rules before I had a good handle on the iconography. As I mentioned,everything is done with cards. So say you want to settle a planet that costs 4. To pay for it, you must discard 4 cards from your hand. Do not have 4 cards, then you choose a different action. so the game is always a balancing act-which cards do you want to play, which do you discard, or which do you hold on to until you can “afford” them? 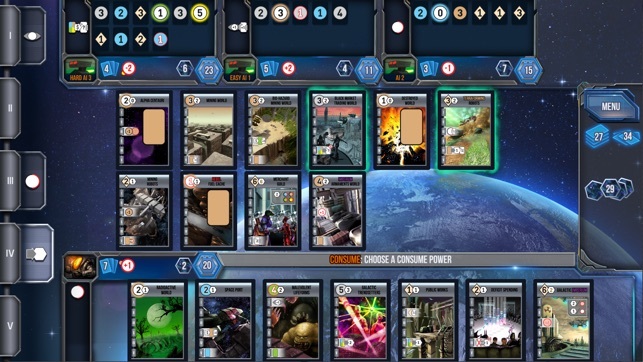 I have found this that you need to rotate through the various actions to build up your cards, so you can thus build up your galaxy. Many cards have special abilities such as reducing or increasing costs, production, military so you need to take those into account as you play. The game ends when someone has 12 cards in their empire (on the board) or the VP chips have been used up. I really like the game; once you get the rules and cards down it is fun and is one that you can play again and again. There are a few more details on gameplay but I will let you explore those for yourself. The game works well on both small and big screens. 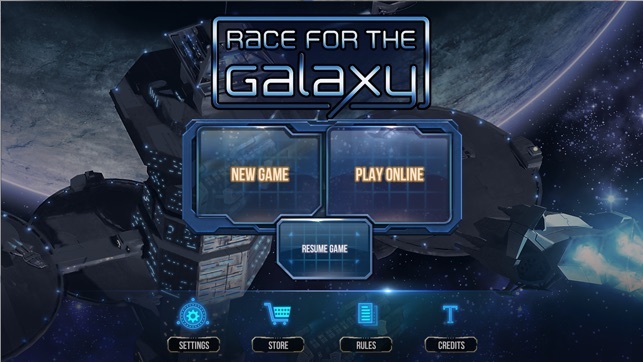 Race for Galaxy is a well designed and implemented card game on digital that is worth the investment. 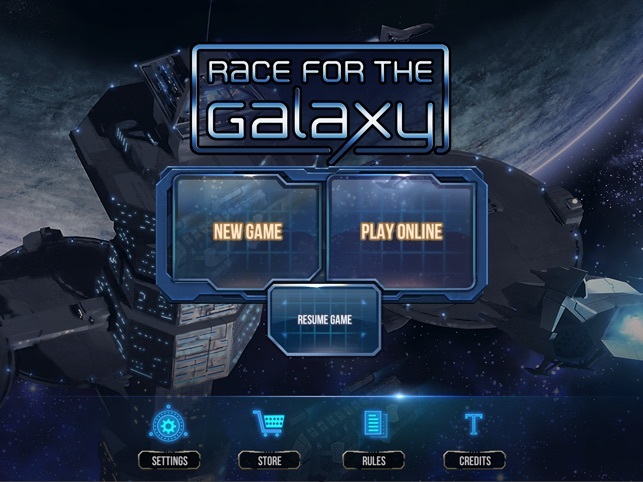 Race for Galaxy is a well designed digital card game where are you trying to build the biggest galaxy.